Why So Few Women Economists? The Push To Break Up The Boys' Club At The Fed At a time when more women than men are graduating from college and earning doctorates, just a third of Ph.D.s in economics go to women. Now there's an effort to increase women economists at the Fed. Federal Reserve Board Gov. 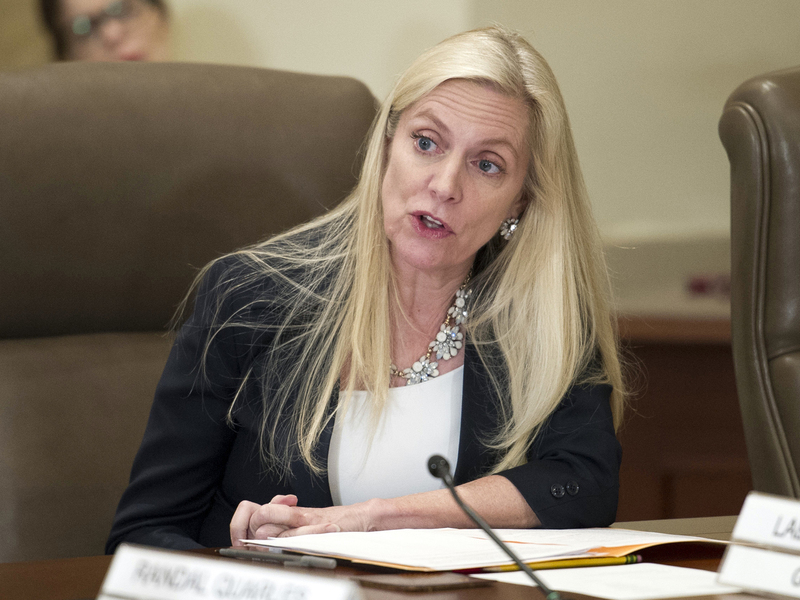 Lael Brainard says a growing body of research suggests that diversity leads to better decision-making. The field of economics has a problem. At a time when more women than men are graduating from college and earning doctorates, just a third of Ph.D.s in economics go to women. That statistic has hardly budged in decades. The lack of gender diversity has trickled its way into one of the field's biggest employers of economists: the Federal Reserve, which crafts U.S. monetary policy. For most of its existence the Fed has been dominated by men. That's why it was such a big deal when Janet Yellen became the first woman to run the Fed in 2014. But Lael Brainard, a Federal Reserve governor, says the central bank "has a lot of work to do to have a truly diverse set of leaders." Brainard, an economist, has spent much of her career as one of the few women in the room when major policy decisions are made. "When you're sitting around a decision-making table, you look around and you say to yourself: 'Hmm, this table doesn't look like a typical classroom in America.' And until it does we're not going to be getting the best possible outcomes that this country deserves," she says. Brainard says a growing body of research suggests that diversity leads to better decision-making. Top voices at the Fed are raising the red flag at a time when the Fed's integrity is under intense scrutiny, with President Trump routinely blasting the central bank for raising interest rates. The institution has been a political punching bag before, most notably in recent times for its handling of the financial crisis. The seminal legislation that came out of that era, the Dodd-Frank Act, called for the U.S. Government Accountability Office to examine governance at the Federal Reserve Banks. The GAO's 2011 report found that more diversity would strengthen the Fed's legitimacy. Lawmakers have taken notice. Last Tuesday, Rep. Joyce Beatty, D-Ohio, introduced legislation aimed at boosting diversity among Federal Reserve Bank presidents. It would require that at least one gender-diverse candidate and racially or ethnically diverse candidate gets interviewed when there's an opening. Sen. Kamala Harris, D-Calif., has introduced companion legislation in the Senate. Former Fed chiefs are also concerned and are weighing in. At an annual gathering of the American Economic Association in Atlanta last week, former Fed Chairman Ben Bernanke and the association's new president, acknowledged that a reputation for hostility has kept women — and minorities — away. "I think it's very important for economics that we change equilibrium, that we change the perception of economics as being unfriendly to any group of people," he said during a panel discussion that also included Yellen. She said it "should be the highest priority for us over the next couple of years." And Yellen said the association, which she will lead starting next year, has formed a committee that will focus on ways to improve "the environment for women and minorities." In recent years, the Fed has taken deliberate steps to address not just the gender disparity, but also racial and ethnic diversity. A few years ago, it brought on professor Amanda Bayer of Swarthmore College as an adviser. "As we try to develop knowledge for the use of policymakers and as we try to develop specific policies, we're hindered by the lack of diversity in our ranks," she says. Bayer organized the Fed's first national summit on diversity in 2014. That summit is now an annual event. And last month, she partnered with the central bank on a new website that gives U.S. universities a visual scorecard on diversity at the undergraduate level, where she says the problem often begins. "Before very recently, fingers were pointed at women themselves looking to factors like women's tastes or math preparation as explainers of why they didn't choose us and join us as economists," Bayer says. But increasingly, the field is looking within to understand why so few women decide to pursue it. Step one of finding a solution is admitting there's a problem, says Bayer, and it's clear that economics has one. A thesis penned by UC Berkeley student Alice Wu helped shine a light on the problem. She used machine learning to analyze posts on an anonymous online jobs forum popular with economics. "She came up with a very convincing case that there was a lot of sexism and a lot of homophobia in the postings on this forum," says Berkeley professor Martha Olney. "Her research simply codified what lots of people could have told you. But the people who could have told you that were women, people of color, and queer students." Once the story was picked up in The New York Times, Wu's paper made the rounds among some of the most prestigious names in the field, and perhaps more significantly, those just starting out in it. It was a wake-up call. "It made me reflect a little bit about — 'Are the people I'm surrounding with thinking those things and just not saying them out loud?' " says third-year Ph.D. student Nina Roussille. Roussille says an aggressive seminar culture alienates some women. One researcher has said that "trying to nail the speaker to the blackboard" isn't the goal in other disciplines as it often seems to be in economics. 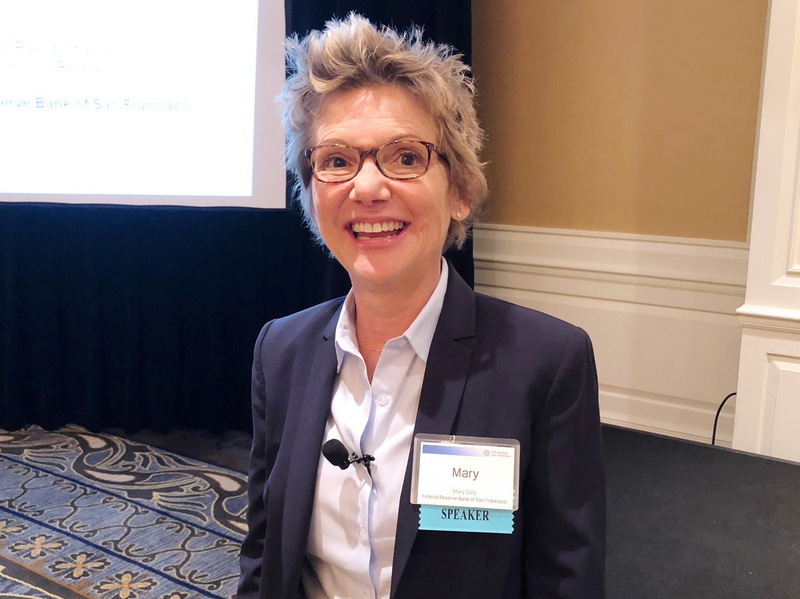 San Francisco Federal Reserve Bank President Mary Daly says called college officials around the country and asked " 'What do you think about the Fed?' And they said it's an old boys' club where women wouldn't be welcome.' "
Mary Daly is championing the cause of bringing more women into the Fed by stopping leaks earlier in the pipeline. In October, she took over as president of the San Francisco Federal Reserve Bank. That gave her a vote in the most recent Fed policy meetings this fall. Like the few other women at the top, Daly routinely offers encouragement through speeches, as she did at a Fed-sponsored symposium for women in economics last year in St. Louis. "When you show up, you are female and bringing that to the table is just as important as bringing your skill set to the table," Daly told the audience. A labor economist, Daly has looked at why more women aren't in the U.S. workforce. Rising through the ranks over two decades, she grew interested in why there were hardly any women at the Fed itself, even in entry-level roles. "I called over 250 colleges myself — placement directors, chairs of departments — and said, 'What do you think of the Fed?' And they said it's an old boys' club where women wouldn't be welcome. And I said, 'Let me talk to you more about the Fed.' "
Her approach worked. The proportion of women in research associate roles at the San Francisco Fed more than doubled, jumping from 20 percent to 50 percent over the past five years. But bringing them in is one thing. Now the task is getting them to stay — and helping them one day rise to the top of an institution where women remain scarce.